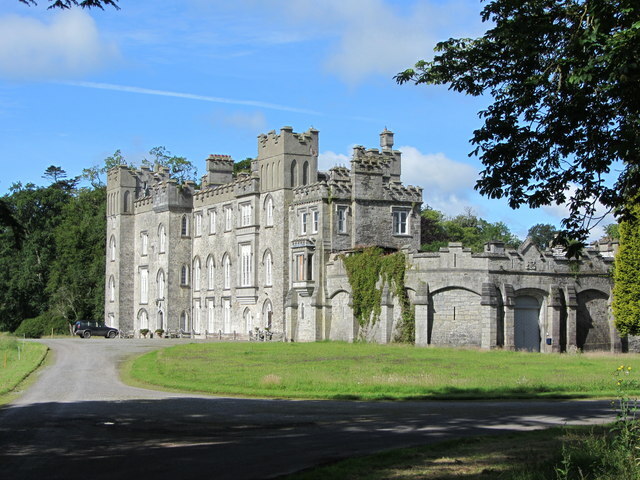 Dunsany Castle is perhaps the oldest continuously inhabited building in Ireland and the main feature of grid N9154, with the core of its demesne around it, including a walled farmyard, stableyard, medieval church and ancient oaks. It, and its sister castle, Killeen, nearby, were built in the late 1170s, and has been held by Cusacks and then by marriage Plunketts since then. See Wikipedia for more. © Copyright Tim Wilson and licensed for reuse under this Creative Commons Licence. This page has been viewed about 192 times.